MS Dhoni lost his bearing at a no-ball call and walked into the field of play and took the umpire head-on. 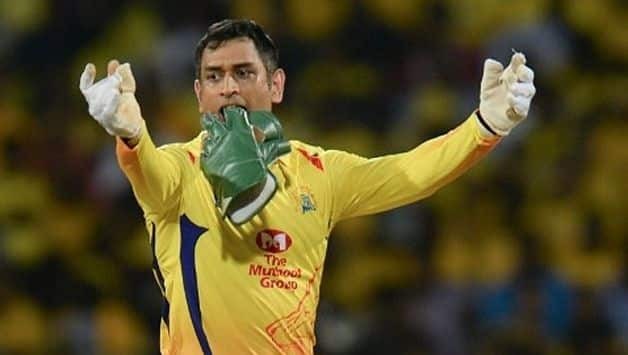 Chennai Super Kings skipper Mahendra Singh Dhoni received a lot of flak for his on-field argument with umpires following a no-ball flip-flop during an IPL match against Rajasthan Royals here. 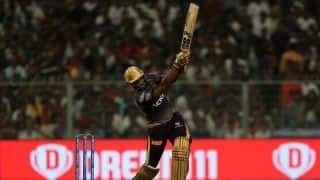 Revered for his ‘captain cool’ demeanour, Dhoni uncharacteristically lost his cool and rushed out of the dug-out to challenge umpire Ulhas Gandhe who called a no-ball before retracting his decision during the last over of a tense chase on Thursday night. 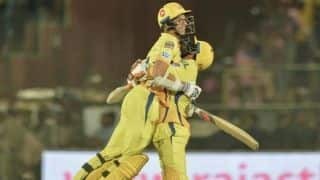 While Dhoni was let off with a 50 per cent fine on his match fee, former England captain Michael Vaughan, ex-Australian opener Mark Waugh, former India cricketers Aakash Chopra and Hemang Badani criticised the CSK skipper for his conduct. Former Australian batsman Mark Waugh took to twitter to express his disappointment with Dhoni. “I know there’s pressure from owners and big money involved in the IPL but I’ve been very disappointed with the two incidents involving the skippers of there respective teams in Ashwin and MS. Not a good look at all,” he wrote, referring to the mankading incident involving Kings XI Punjab skipper R Ashwin and Jos Buttler. I know there’s pressure from owners and big money involved in the IPL but I’ve been very disappointed with the 2 incidents involving the skippers of there respective teams in Ashwin and MS. Not a good look at all. Thursday night’s incident happened in the fourth ball of the last over when Ben Stokes bowled a waist high full toss to Mitchell Santner. Initially, it looked as if umpire Ulhas Gandhe was about to signal no-ball only to decide otherwise. Dhoni, who was dismissed in the previous delivery, lost his bearing at the incident and walked into the field of play and took the umpire head-on. He was seen angrily gesturing at the umpire before leg umpire Chris Gaffaney asked Dhoni to leave. Former Indian batsman Aakash Chopra slammed the poor standard of umpiring but also criticised Dhoni for setting a wrong precedent. “Umpiring standards have been pretty low in this #IPL and that was a no-ball given and reversed. Enough to feel crossed and miffed. But the opposition captain has no right to walk out on the pitch after being dismissed. Dhoni set a wrong precedent tonight,” Chopra wrote in his twitter handle. Badani too was surprised by Dhoni’s behaviour. “The umpire is well within his right to overturn a No-Ball or any decision on the field for that matter. Surprised with how Dhoni handled it. It was so unlike Captain Cool #RRvCSK,” he wrote in his twitter handle. Pragyan Ojha, a left-arm India spinner, also slammed the umpiring standard. “Umpiring this season has deteriorated! Some times you feel what do you play for, the cup or the fair play award?,” he tweeted. CSK eventually went on to win the match after Santner smashed a six off the last ball to power the team to a four-wicket win. It was Dhoni’s 100th IPL victory as captain for Chennai Super Kings, who are now sitting at top of the points table with 12 points in seven games. CSK will next take on Kolkata Knight Riders on April 14.